Earlier this week, the University hosted its second Values Of Film Heritage workshop, coinciding with UNESCO’s World Day for Audiovisual Heritage. The programme included members of the Pararchive team, both behind the scenes in producing the event (Daniel and Fiona), as well as on the programme with a plenary session from Simon. 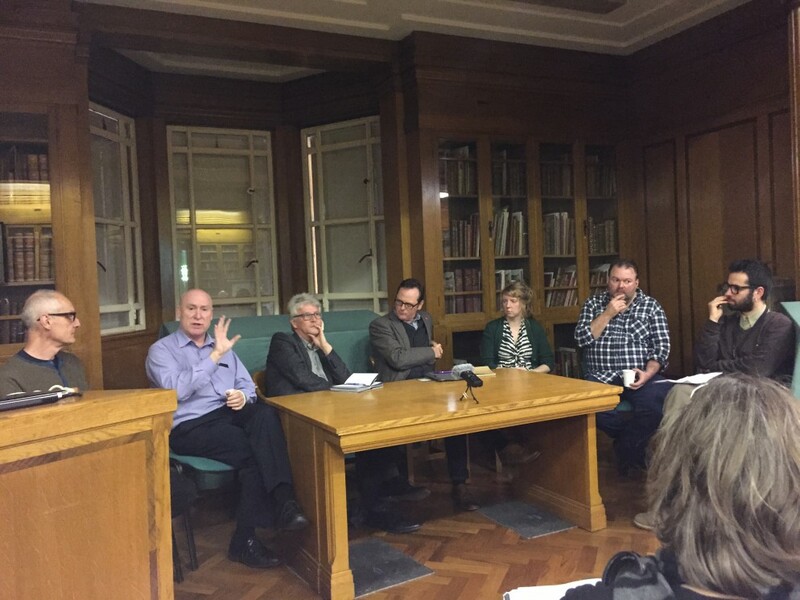 Following another talk from David Walsh of the Imperial War Museum, the event opened out into a panel discussion on the cultural, technical and economic challenges of archives and film. It struck me that millions of individuals face the same challenges as institutions as we all increasingly seek to make sense of personal collections of photos, home movies and other artefacts. Can the strategies being explored at an institutional level also apply to individuals… and what can institutions learn from the strategies employed by individuals. Several years ago I migrated much of my physical media to digital copies – books, photos, games, music, movies – largely as an exercise in self-experimentation; what would it do to me to digitise much of my ‘stuff‘. I don’t feel like I lost much in that transition, but something Simon noted in his talk, was that it was important to preserve the instantiation of a piece of work too; such as the venue for film’s screening. It’s impossible to legislate for all those instantiations and anticipate what might have later significance. Thus, it becomes important to operate in a culture of openness and collaboration, to enable other to do attach their perspectives. As much as I don’t like to fetishise Silicon Valley’s solutionist culture, the architectures of participation and open source culture that emerged from the Web 2.0 movement offer a way forward. These institutions need to become platform businesses – not simply in a technical sense with APIs and such, but also in human terms, understanding copyleft, crowdsourcing and community management at a fundamental level. My friend Matt Edgar coined the phase “the past as a platform” – I think we need to think about what it means to be a Heritage Platform. They need to design themselves in collaboration with those they serve. They cannot anticipate and accommodate every future usage, but they can redesign themselves for emergence, so that others can build around them; Tim O’Reilly framed it as Creating More Value Than You Capture. A BBC, a National Media Museum or Imperial War Museum need to reflect the structure and culture of Github, Wikipedia and the Mozilla Foundation. By placing their archives, artefacts and collections in an institution architected for participation, collaboration and openness, they can ensure that heritage can be preserved and remixed in a sustainable and creative way. Good evening. I’m Sir Trevor.